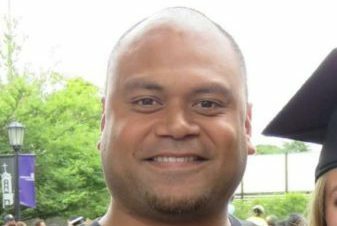 Justin is a Portland native whose parents were one of the first Samoans to lay roots in the St. John’s community. As a child, he attended Portland Public Schools eventually graduating from Jefferson High School. He then traveled to Eureka, Ca to attend The College of the Redwoods to play baseball. When he returned from playing ball, he started a family and has two kids, Jennifer, 17, recent graduate of Roosevelt and will be attending the University of Oregon and JJ, 14, will be attending Roosevelt. Prior to working with APANO, he worked at Safeway for 20 years and eight years ago, he started coaching youth sports as his kids got involved and he started using sports as a tool to mentor the youth in the community, to breathe life into them. It was then that his passion to work with youth began to cultivate. He is currently a student at Portland Community College with the intent to major in Mathematics and Exercise/Sports Science.